Dress, business, bridal, party, office, work, wedding, walking, formal occasio. 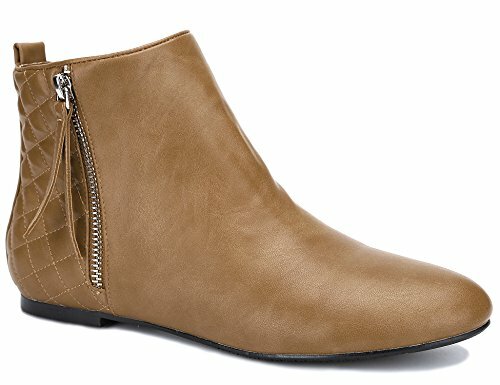 COMFORTABLE FIT: Slip these flat boots on easily and run around town comfortably with these round toe flat boots that have a cushiony insole. OCCASIONS BETTER CHOICES: These Flat Boots are fit for many occsions, such as, dress, business, bridal, party, office, work, wedding, walking, formal occasion. Choose your favorite color among all our beautiful colors and get the feminine look you deserve. FOR AN ANDROGYNOUS LOOK: Outstanding Vamps:zip,suede,faux suede are perfectly matched. These three elements turn up your style.